Happy 100th, Ladies & Drag Kings! 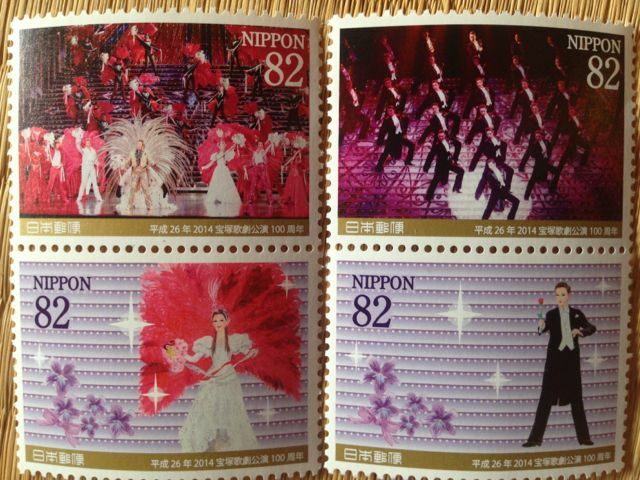 Takarazuka, the Japanese all-female musical revue, is celebrating its 100th anniversary, and the post office commemorates with postal stamps! Lots of gorgeous feathers, rhinestones, and men’s black tie. It looks so romantic. Who wants to go with me to the show in Hibiya? Breaking with tradition, Hatoyama Miyuki, wife of Japan’s new PM, plans to take a visible role as Japan’s First Lady. Frankly, I had never seen a photo of Mrs Aso, Mrs Fukuda, Mrs Abe or Mrs Koizumi. So it’s revolutionary news that Japan may be on the cusp of welcoming its first First Lady. What do we know about Miyuki-sama? She was born in China during the war, a former actress, cookbook author, television personality, and a “life composer.” She believes she shares “a sensibility” with Michelle Obama, and hopes to meet her. Mostly, she is a tireless promoter of her husband, with Wikipedia reporting that she chooses her husband’s outfits and (personally?) styles his hair. But, Miyuki-sama, please do not let me discourage your spin, conjugal devotion, or quest for the limelight. Finally, with the (first?) emergence of a First Lady of Japan, this is Japanese “change” that I fully support. Bring on the outfits, social causes, cultural activities, and style. Update: A second Japan Times article adds even more outrageous details. 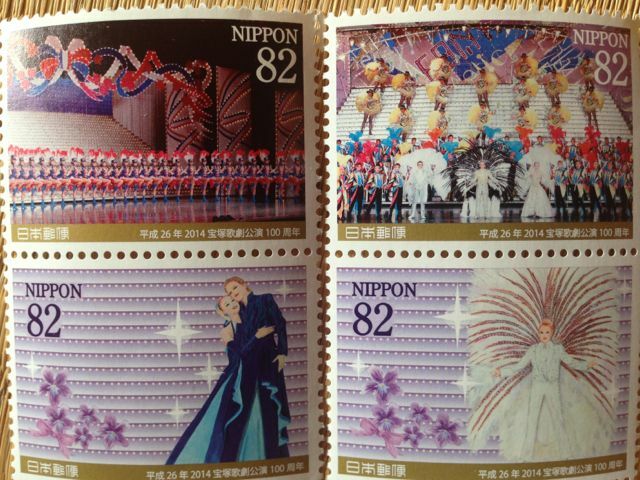 Miyuki-sama is a former singer and dancer in the very popular Takarazuka Revue all-female theater troupe. And she has a spiritual side that puts Shirley MacLain to shame. She has written in a book that, while sleeping, her soul flew in a triangle shaped UFO to Venus. On a television program, she also claimed that she eats the sun, and that it gives her “enormous energy.” Even better, she added, “My husband has recently started doing that, too.” Oh, and she met Tom Cruise in a previous life, claims he was previously Japanese, and dreams of making a Hollywood movie with him. It must be wonderful to be so fabulously wealthy, and to live in a country where such outlandish views are neither questioned nor ridiculed. Dearest husband, please make me Japan’s next First Lady! Second Update: There’s also a New York Times article with the exact same content, plus some angry online reader replies and many replies by the reporter. Plus this amazing photo of the Hatoyamas as a young couple What happened to his looks? Can I buy her wig? And why has no one commented on this EXCITING news? !